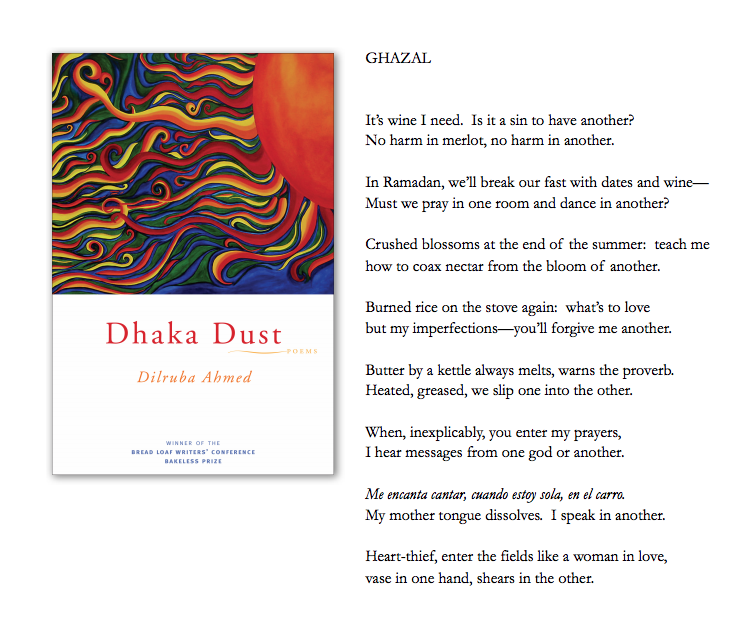 I discovered Dilruba Ahmed’s poetry in the early part of this year and it has stayed with me. The first poem I read was: “Snake Oil, Snake Bite” and it lingered over my days, making me smile at odd-moments as I remembered its tender irony. Imagine my joy when I discovered she had written a ghazal. Each couplet such a nugget to carry around. Don’t miss the witty: “In Ramadan, we’ll break our fast with dates and wine— / Must we pray in one room and dance in another?” Well, must we?